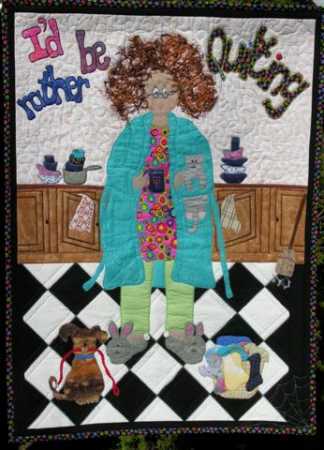 Head to the sewing room...do not stop at the kitchen sink or the laundry. Suggested construction is fused raw-edged applique. Add curly wool hair for that "frazzled look." Finished size is 30" x 36". The Freckles Collection is a proud member of the QuiltersWarehouse.com family of shops. Please click on this link to order patterns.